The DPRK hosts numerous special events throughout the year. Often these events coincide with one of the 71 public holidays (as of 2017). Some of the most notable holidays include the Day of the Sun, the celebration of the birthday of President Kim Il Sung (April 15), the Day of the Shining Star, the celebration of the birthday of Chairman Kim Jong Il (February 16), the Party Foundation Day (October 10), and the DPRK Foundation Day (September 9). Other notable highlights include May Day (May 1), Victory Day in the Fatherland Liberation War, otherwise known as the Korean War (July 27), and the birthday of Mother Kim Jong Suk (December 24). Many of our tours are scheduled to coincide with public holidays so that tourists may witness and join in with the local celebrations. On such special days many locals enjoy public Mass Dancing on the streets, games and barbecues in the park, and other sport and leisure events. Military parades are sometimes known to also occur alongside special dates. 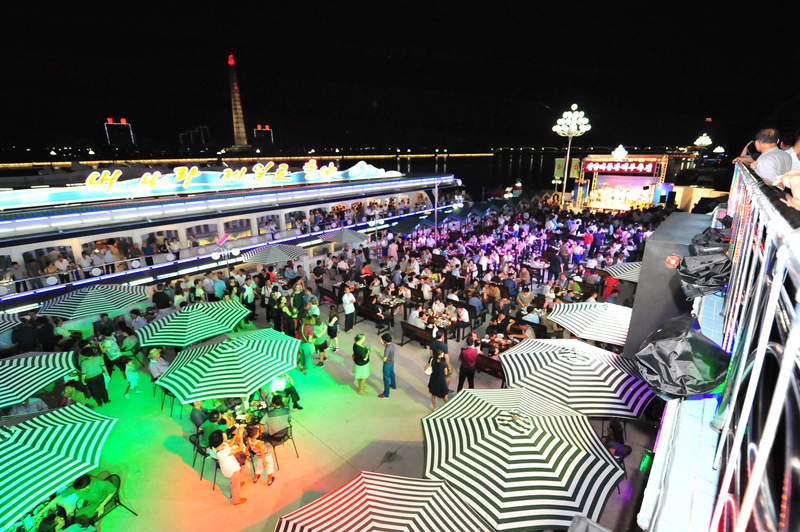 On this page you can find the events schedule for 2019. If you wish to book a tour to coincide with one of these days please check our group tour and private tour pages for further information! February 16, 2019 marks the 77th anniversary of the Day of the Shining Star, the birthday of Chairman Kim Jong Il. 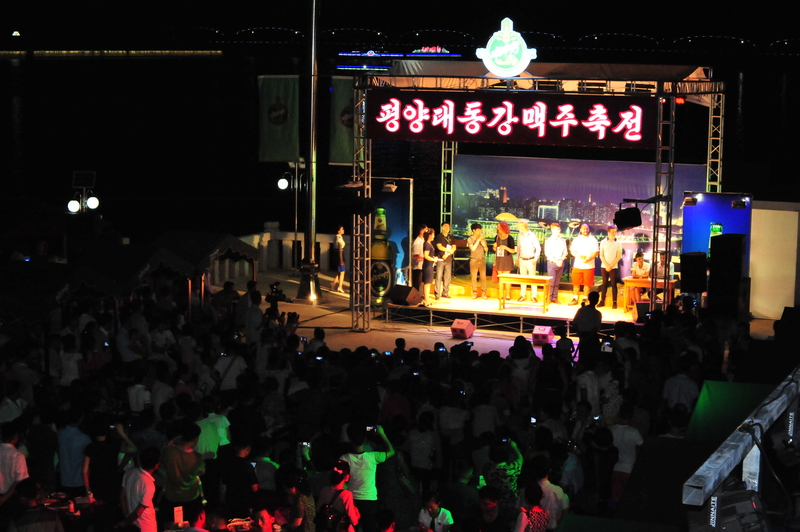 The flower festival, hosting the “Kimjongilia” flower, will be in full bloom for its 22nd edition. The Paektusan Prize International Figure Skating Festival will be hosting internationally renown athletes to perform and compete in Pyongyang. A synchronised swimming competition will be held. An arts celebration and exhibition by famous local artists will be on display in the city. April 15, 2019 marks the 107th anniversary of the Day of the Sun, the birthday of President Kim Il Sung. The flower festival, hosting the “Kimilsungia” flower, will be in full bloom. The Mangyongdae Prize International Marathon returns, hosting both internationally renown and amateur athletes to compete around Pyongyang. In April (dates to be confirmed) a ping pong tournament will be held at Kim Chaek University of Technology for both disabled athletes as well as domestic/foreign amateurs (please email us directly concerning bookings). Given its socialist history, May Day (1st May) is a traditional time for celebration in the DPRK. The city will be alive and in a celebratory mood, tourists can mingle with locals at the Moran park in the city centre and join in the fun! On this day there will also be an art performance by city artists. At Taesongsan, Mangyongdae Funfair and Kaeson Funfair numerous sports games and competitions will be held. In the evening, celebrations and mass dancing will feature in Kim Il Sung Square as well as many other public streets around the country. Between May 20th – 24th an international trade fair will be open to all to visit, exhibiting the numerous consumer goods for sale and providing a window into the latest products to find their way to the DPRK market. If you would like to visit this year’s trade fair, please send us an email. July 27, 2019 marks the anniversary of the victory in the Fatherland Liberation War. August 15, 2019 marks the anniversary of the liberation from Japanese colonial rule in Korea. September 9, 2019 marks the anniversary of the founding of the nation. Between September 23rd – 29th an international trade fair will be open to all to visit, exhibiting the numerous consumer goods for sale and providing a window into the latest products to find their way to the DPRK market. If you would like to visit this year’s trade fair, please send us an email. Between September 20th – 27th the 17th Pyongyang International Film Festival returns, showing a range of domestic and international films to audiences all around the capital. If you would like to get involved in this year’s festival or simply wish to attend, please contact us directly. In late September (dates to be confirmed) there will be a fashion show, complete with catwalk, showing the traditional dress and latest styles to hit the Pyongyang streets. October 10, 2019 marks the anniversary of the founding of the Workers’ Party of Korea. Between October 28th – 31st an exhibition showing green design in architecture and furniture will open in Pyongyang. In October 2019 the Autumn Amateur Marathon, hosted by the DPRK Amateur Athletics Association, will take to the streets, offering runners a chance to explore the city and compete with local and foreign guests along the way. 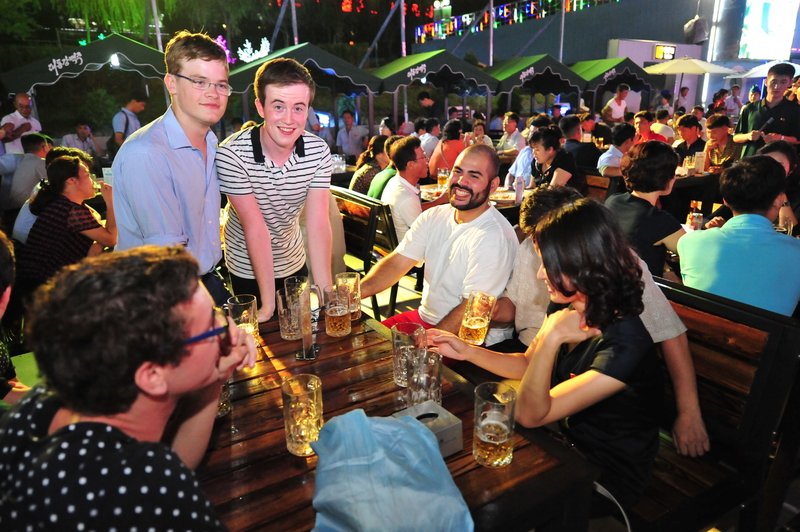 (Dates unconfirmed) The DPRK produces very high quality beers and lagers. 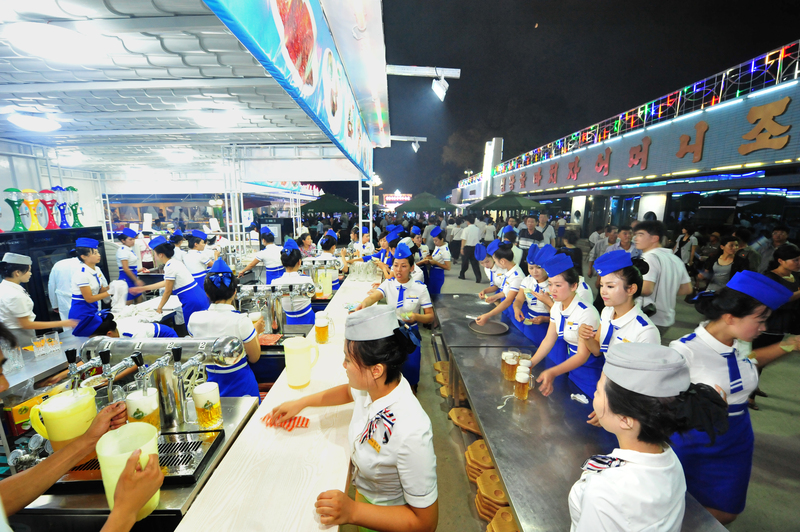 Whilst unconfirmed for 2018, any serious beer fanatic must be sure to sample the local tastes at the Pyongyang Beer Festival!